I enjoy a facial as much as the next woman but don't have them very often. 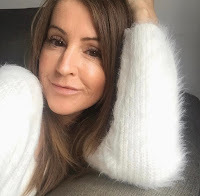 As I got to my late thirties and into my forties I started to look after my skin a lot more, not that I didn't before but you know, being more aware of using SPF and exfoliating on a regular basis. As I've got older my skin is still combination and still prone to breakouts (which I thought I'd leave behind in my teenage years, but sadly not). My kids treated me to a facial for Mothers day and I had my hour of pampering today. I went along to Browns TWO which is the 2nd salon to open alongside Browns ONE, in Loughborough which I have mentioned in a post before. They offer Dermalogica skin care treatments and I was booked in for the Active Resurface 35 Skin facial. This is an advanced 45 minute resurfacing treatment that uses a cocktail of the most advanced ingredients available today. Basically, the treatment is completely customised to the needs of your skin, offering three levels of resurfacing to stimulate cell renewal and cell turnover. It helps to treat a variety of skin concerns such as premature ageing, sun damage, fine lines, pigmentation, dehydration, congestion and breakouts; and dryness and flakiness, everything really. 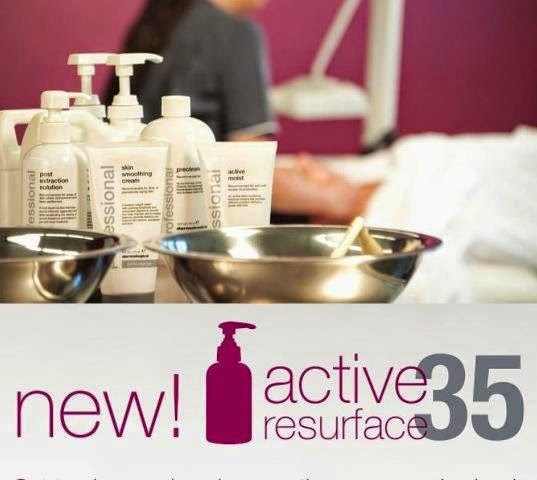 The hero formulation within the Active Resurface 35 treatment is Exfoliant Accelerator 35. This AHA-BHA concentrate contains the highly active skin smoothing ingredients of Lactic Acid and Salicylic Acid, along with a complex of proteolytic enzymes and peptides to boost exfoliation and result in ultra smooth skin. In combination with Dermalogica's professional exfoliation options significant results are visible after one treatment. As I said they offer three levels, Power Active option, Intensive Active Option or the Ultimate Active Option. With Laura's guidance and after a skin consultation I went for the middle level, the Intensive, as I've not had it before so didn't opt for the real powerful one straight away. I didn't opt for the lower level as I really wanted to see some results. Laura did a deep double cleanse and an exfoliation, followed by another exfoliation on dry skin. She then applied the Active Resurface 35 treatment – the Exfoliant Accelerator 35, which feels a bit tingly and prickly but nothing that you can't cope with. I then had an oatmeal mask to calm and nourish my skin (she said this would help to calm any redness as I was concerned about leaving the salon looking like a tomato). Laura then drenched my skin with quite a thick, heavy moisturiser. This treatment offers extreme exfoliation without making you have the scary skin peeling, redness or dryness. The whole thing from start to finish was utterly relaxing and comfortable, and the products were applied and massaged over the face, neck and decolletage. I am a woman that exfoliates anyway but even so, after just this one treatment I can see that my skin is even more smooth than before, looks a lot clearer and feels great. Result. Since getting home though I'm finding my skin feels a little tight, as though it's not moisturised enough, so maybe the one they applied is not enough for me and I need a little more. Overall a great experience and one I will definitely book again. I'm going for the most powerful one next time! Sorry for the lack of photos of my face but I don't want to scare you all. Browns TWO have an offer on until the end of April (£25 instead of £45 per treatment) so get yourself over there now. Click HERE to book online. If anyone out there has also had this treatment please get in touch as I love to hear about your results.